The Wide Angularity of TraffiCalms SignAlert Chevron System truly sets us apart. Each sign’s wide angularity produces a 30° cone of view with dimming capabilities, producing maximum road coverage and allowing for the optimal output in various weather and lighting conditions. 30° angularity provides nominal light intensity at every point of travel a driver makes throughout the curve. The example on the left represents TraffiCalms Effective 30° Angularity. 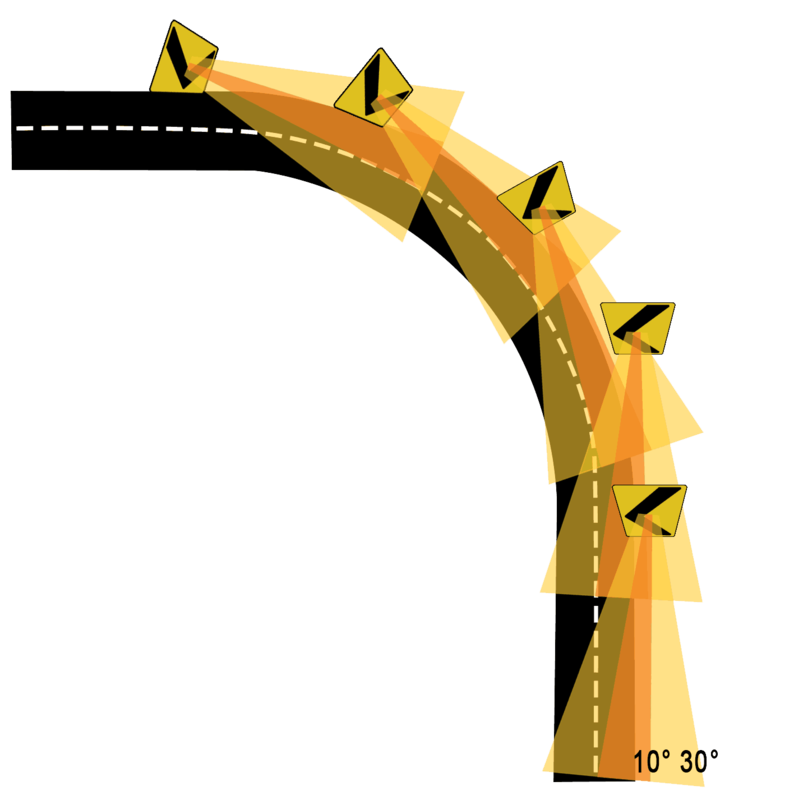 ORANGE Beam – Represents the intermittent light that a narrow angularity of just 10° provides a driver through the curve. GOLD Beam – Represents the interconnectivity of light provided to the driver with TraffiCalm’s Effective 30° Angularity.